We (JCa, MCl, KEd & BMa) descended Disappointment Pot as far as the bedding plane where Brendan's helmet and lamp floated through but Brendan was too large to follow! After frantically kicking through the silt with his feet a very wet and very cold Brendan managed to retrieve his helmet. We then attempted (JCa, MCl, KEd, BMa & EPo + Cara) Bar Pot but after waiting for a long time to descend the second pitch Keith decided he had had enough and exited with Jason and Brendan. 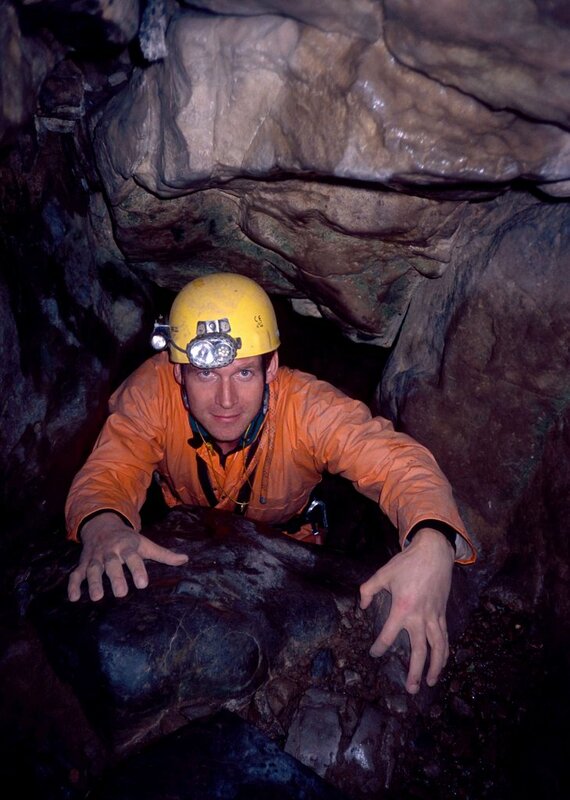 Mike was last seen descending Gaping Gill on the winch with a party of 15 'cavers' in tow. Jason in the entrance to Bar Pot.